Artificial Intelligence (AI) is a machine (computerized system) with an advanced human-like ability to intelligently manage the activities and systems, usually done by humans manually. For instance; While bots like Apple’s Siri and Amazon’s Echo are programmed similarly to take on mundane tasks. Further, bots like Google’s Deep Dream are designed for creativity, that helps users in problem-solving, which in turn improves the user experience. The process through which AI gathers and learns knowledge is very much similar to the user experience. Likewise, the AI interpret the data and predict the human behavior, so as the UX. Apart from this, it understands human behavior to analyze the action by the individual. Considering the importance, in recent times, AI has been extensively enhanced the way the user interacts with a device. Manage Data Explosion – With the smartphones and mobile devices, there is a tremendous explosion of data, and as the amount of data grows, it's obvious to have an AI system to accurately analyze, process, classify, and evaluate the data. Prognosticate the Intent Ability – Netflix can prognosticate from your behavior what sort of TV show or movie interests you. Improving the Customer Experience – AI power can dig deep into details which human eye would miss, helping to adhere to the right data. For instance, RightClick.io is a chatbot that assists to build websites by connecting you in a conversation. Even if you divert it with irrelevant inquiries, this AI device will remind the actual job to create a website. How is AI impacting user experience? Recently, in the market, many updates have been introduced where AI has played a significant role. For instance, Google Translate uses AI for enhancing the delicate linguistic distinctions. With this advancement getting more flexible, the translations result are much more precise as compared as earlier results. What AI Store-in for UX Design in the future? In recent times, the IT giants like Google, Microsoft, and Amazon doors-in the various potentials of the AI. The efforts are made on innovating AI on a faster pace and also on improving the user experiences. Further, it's expected that the development companies will soon introduce a new interface that is “no interface.” Moreover, excluding physical screens will resolve the problem of intrusion from the usual work of the user. Thus, with the help of AI researchers are looking to develop no interface technology. Screen-less addition will accommodate users with reliable and dematerialize products. AI hold the ability to shape the future of UX - offering new insights and context to experience the brands build for users. The predictive analytics underpinning both AI and UX creates an intersection that will benefit both consumer and the companies hoping to cater to them. 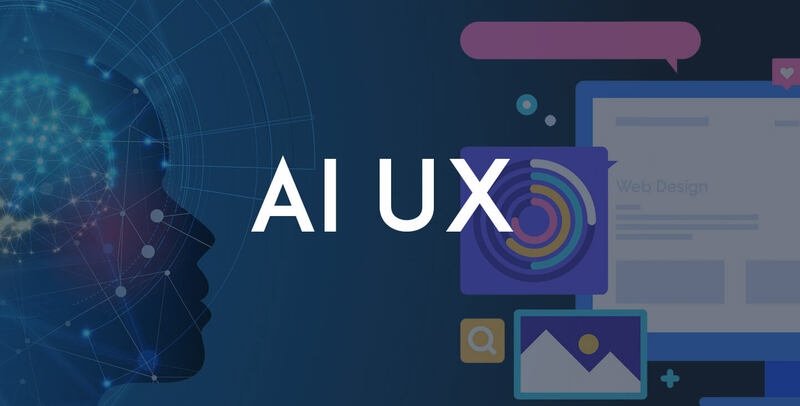 As we understand, how crucial UX is and center of development; AI and predictive analytics enables to evaluate what is the exact requirements of the user then and now. As it provides a deep dive into users experience and according to customize the content and messaging to fulfill the requirement to requirement. The current UI techniques address the emerging capabilities using the process that break down the elements into individual components and apply intuitive design model to make it engaging layouts. For instance; let's have a look "how the AI impact user experience? It is an algorithm showcasing a specific piece of content. Google's featured snippet excerpt of a webpage above all other ranked page results on a search query. Thus, these are coveted sports that can have a magnifying effect on stimulating engagement and sales. Now, it's right to conclude that voice interface will take on featured snippet concept. In a similar way how Amazone featured one product for a given category, called "Amazon's Choice." Undoubtedly, the user experience is not about leveraging data insights only, it also includes intelligence. And the AI connects the dots by incorporating intelligence into the disparate sources of data. Role of both the AI and UX is to understand users and supply and what they need. UX still need to add a human touch to what AI supplies, applying concepts from one domain to another. Apart, their abilities to interpret behavior are limited; together, they’ll fuel unlimited possibilities. AI technologies like machine learning, chatbots, VR, robots, AR and other systems are gaining momentum, the growth seems to be gradual. AI, when combined with UX represent a future technology. Merging AI with UX will surely lead to enhance content findability and reachability. NEXT POST Will The Code-Less Development Offers Relevancy To Mobile Application?